for a fishing experience of a lifetime. 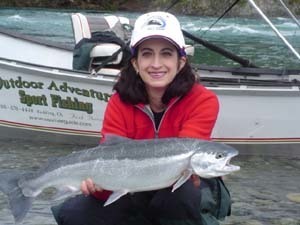 Smith River guided fishing trips and Chetco River Guided fishing trips, steelhead fishing at the finest. 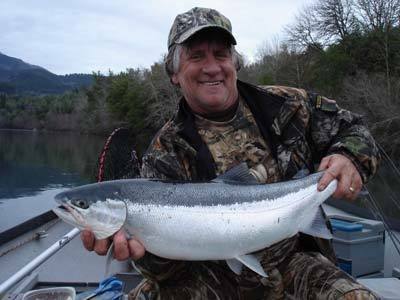 Enjoy the best steelhead fishing, fully guided, in Northern California, on the Smith River with Outdoor Adventures Sport Fishing and Pro Guide Kirk Portocarrero . 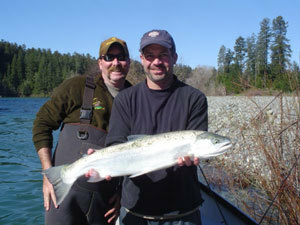 Also, providing Chetco River Steelhead fishing trips. The Chetco River Guided Steelhead fishing take place in Brookings, Oregon, approximately 10 miles from the California border. Great outdoor adventures on the coastal rivers. 10 miles North of Crescent City, California. The Smith River is undammed and the largest free-flowing river in the state, Even after a big storm this river can clear within several hours, which is great for the eager fisherman. 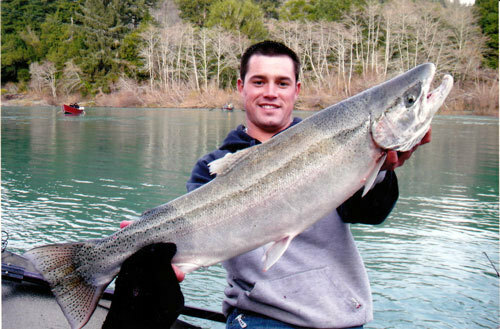 Smith River steelhead fishing produces the largest steelhead, with the state record Smith River steelhead, 27 lbs 4 oz. Smith River Steelhead start their runs early December and run at their prime through March. 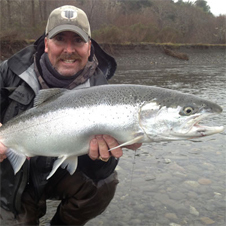 Smith River Steelhead fishing AND the Chetco River Steelhead fishing really takes off in the month of February, producing monster steelhead. These big, chrome steelhead are awesome fighters and give any angler a thrill. 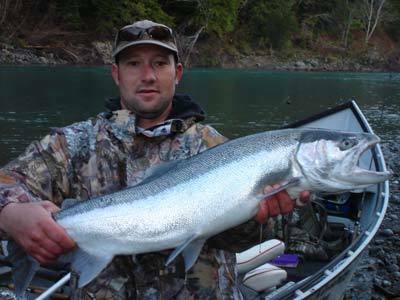 Smith River Steelhead fishing will produce steelhead averaging in size from 8-15 lbs., with an occasional 20 pounder. Steelhead fishing areas can range from the areas of the very Northern California, and in the very Southern Oregon area when fishing the Chetco River. Drifting about a 15 mile stretch and fishing from our custom built Fishrite drift boats, (equipped with heater and plenty of storage),. This could not be a better way to see these magnificent rivers. The scenery is breathtaking. Areas fishing: Smith River , CA to Brookings, Oregon. Included: All equipment is provided on this guided trip, aboard our custom built drift boats w/heaters. Rain gear provided, if needed. All equipment provided. Not Included: Things you should bring on your guided trip are California fishing license and/or Oregon Fishing license. Warm clothes, Extra dry clothes, rain gear, lunch ( food & drink ).